Does Smart Home Automation Increase Property Value? Good news, whole home automation increases both your home’s curb appeal to potential buyers and your property value. Since home automation helps you run a more efficient, cost-effective household and save on your home owner’s insurance, all while letting you enjoy a more convenient lifestyle, homeowners of all ages and demographics are willing to pay more for homes with integrated smart technologies. So whether you’re deciding to make the investment or have already invested in full home automation and the Internet of Technology (IoT) home, rest assured it is a wise and financially sound decision. What is IoT and Why is it the Wave of the Future? IoT is the future for this century like the Internet was to the world in the 90s. IoT is changing the way people do everything from working, living, entertaining, traveling, business, and more. Experts estimate that by 2020 more than 20 billion devices will be connected to the IoT. That’s everything from appliances, cars, homes, pills, toys, medical devices, and even shopping carts. Pretty much anything that can be connected to the Internet through a device or sensor qualifies. A study by Gartner calculates that around 8.4 billion IoT devices were in use in 2017, up 31 percent from 2016, and will likely reach 20.4 billion by 2020. Total spending on IoT endpoints and services will reach almost $2 trillion in 2017/18, with two-thirds of those devices found in China, North America, and Western Europe. According to Gartner, out of that 8.4 billion devices, more than half will be consumer products like smart TVs, smart speakers, and home security systems. The most-used enterprise IoT devices will be smart electric meters (which are already in use around most of America) and commercial security cameras. What Kind of Automation Do Potential Buyers Want? Older demographics tend to care more about safety and security, while younger ones emphasize convenience and customization. At the top of the list for both demographics is security. 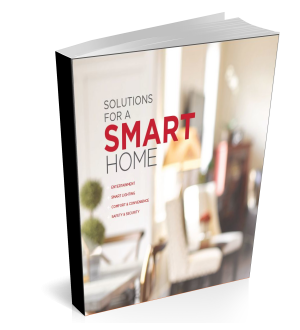 A recent survey revealed that 90 percent of respondents put home and family security as the top reason they would purchase a smart-enabled home. With break-ins occurring every 20 seconds, home security systems that can deter burglars are becoming essential to safeguard homes. However, it’s not just security homebuyers, and owners want. It’s more voice control over their lives. A new study by Coldwell Banker and Vivint Smart Home offers insight into what smart home products increase property value. According to the report, US consumers want voice control most of all. Add a simple home automation system like Google Home or Amazon Echo to your home, (the whole system, not just one device), and you’ll attract more buyers willing to pay more to move into an already fully automated home. Most users look for things like smart entertainment systems, smart lighting options, and smart security elements, but they all appreciate the value and savings of things like home temperature controls for electric, water, and gas. What Kind of Buyers want Smart Home Automation? Parents, Millennials, and Gen Xers all want smart home functionality. According to the Coldwell Banker and Vivint Smart Home study, like most other tech things, Millennials (ages 18-34) are leading the voice control trend: 58% of Millennials have smart home products and devices that already have voice control features. Compare this to 50% of Gen Xers (ages 35-54) and 26% of Baby Boomers (ages 55+). However, when it comes to those with smart home products who want voice control, Gen X rules: Nearly 4 in 5 – or 79% – of Gen Xers have smart home products but want voice control. Millennials aren’t too far behind at 74%, with Boomers trailing at 63%. Many boomers are tech savvy, but more aren’t. They want something intuitive and practical, user-friendly, hands-free location flexible. Just because you know the value of your home’s automation doesn’t mean your potential buyers, or even your real estate agent will. It’s important to educate yourself first, then your realtor, then your potential buyers. Gather a comparison of bills before home automation (at least six months to a year’s worth if you have them), and a comparison of your statements after home automation (at least six months to a year’s worth should be plenty) should get the concept across in a way most budget-conscious buyers will understand. You can usually access this information through your online billing site with your energy, water, and gas companies. Think about your family’s life before automation, and since. What things about full home automation have made a difference to you? When you are passionate and “sold” about something, it’s easy to pass that enthusiasm along to others. Think of stories you can share with buyers about a time or times when the automation helped you or your family. Demonstrate your system to your realtor and make sure they understand how it works so they can show potential buyers how it’s an integral and valuable part of the home. Make sure the asking price of your home is within what the market will bear, but also stress that the savings of full home automation should increase the value of the house. Lifetronic can uncomplicate and streamline your life and design a high-tech home automation system that can be as simple or extravagant as you wish, but never difficult to use. All of home automation installations are fully scalable, so if you want to start small, perhaps a media room with an easy-to-use TV/surround sound system and a few rooms with background music, we can design a system to meet all your needs. In the future, you can add whatever extras you like since the brains of your smart home are already installed.